United Kingdom has introduced unique points based system to bring the useful skilled force into the country. UK’s manufacturing sector, IT exports and various industries are facing the problem with the skill shortage. To fulfill this missing space, UK Immigration has introduced various visa programs to attract the finest talent to its country. UK introduced the system of points in 2008 for visa programs. Candidates, age, qualification, language skills, work experience and various other attributes determines him some score to obtain the visa. The Point Based Visa Programs are Classified into Main Categories. Youth mobility and temporary workers (Tier 5). The entire above mentioned visa programs are point based, candidates have to score well to get the visas. 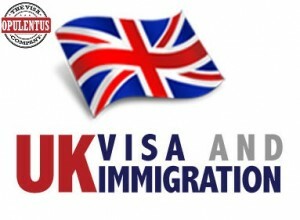 Among the visa programs UK Tier 2 Visas has been the most discussed program, as job is mandatory to apply for this visa. The manufacturing sector mainly engineering and IT companies largely recruits people through Tier 2 visa as it is an intra company transfer. The salary cap for this tier 2 visa is approximately 20,000 pounds annually. All the industries of the United Kingdom largely depend on this visa to fill the gap of skilled force. The migration advisory committee suggests the UK Government on salary caps and immigration flow. Immigration to UK through all means has increased overwhelmingly in the recent years. United Kingdom is set to exit from the European Union to contain the migrants from European countries. However, there is no harm to the skilled professionals who have been helpful to the UK economy and acting as a driving force for the economy. what are the processing times for UK Visa Application? Please tell me the few details of Comprehensive Sickness Insurance for family members? I’m having work permit to Uk. But I’m having good knowledge on english on behalf of that my wife she didn’t dont english as new rules english is mandatory for travelling to Uk , So your consultancy will support for me and my wife for UK Immigration.